"This book will make you rethink your entire approach to investing"
Start Your Own Comparison Now! 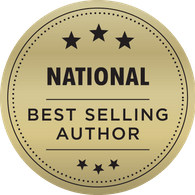 Adam Baratta is a national bestselling author and co-founder of the highest-rated gold company in the country, Advantage Gold. He has spoken to over 50,000 investors from all walks of life, from doctors and lawyers, to school teachers and government employees, to wealthy businessmen, to name just a few. Many of the people Adam speaks with are retirees who are no longer working and are looking for the best ways to protect their retirement. Through this experience, one thing has become abundantly clear to Adam. The average person has very little understanding of investing, the markets, and how money works. He believes much of this is by Wall Street design. 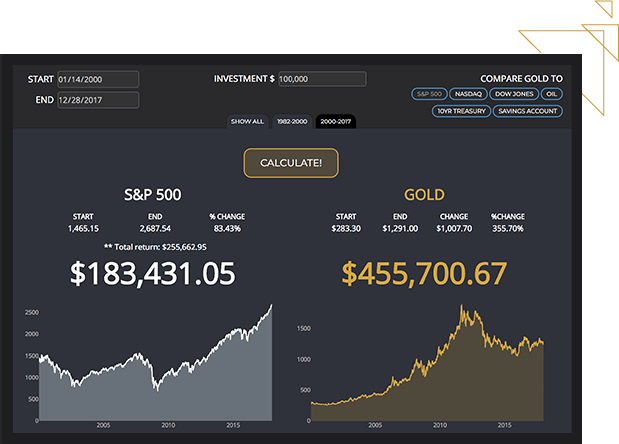 Adam was in the exact same position years ago, just an Average Joe investor and with a similar depth of knowledge, and decided to dedicate himself to expanding his education of the capital markets and their influence on the economy. Adam's passion consumed him and the more he learned, the more convinced of his perspective he became. That conviction has led to a mission to share his knowledge with as many people as he can and thus the idea of writing Gold Is A Better Way was born. The more he learned about the long-term fundamentals of stocks, bonds, and other assets, and the misinformation almost every retail investor is fed, the more passionate he has become about educating people about the fallacious investment myths we’ve come to accept as truth. These myths apply to gold as well, and it’s Adam's purpose to clear them up once and for all! 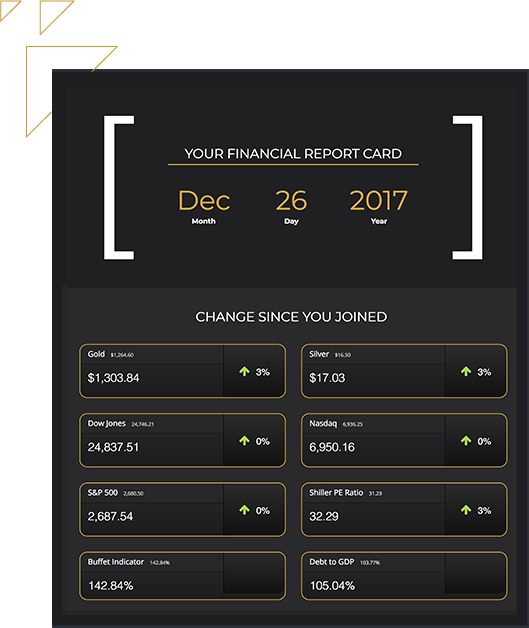 Your report card provides realtime updates on when you joined to where mutiple investment options have changed..
Join today and start your own discovery! before asking for your business. This website is for informational purposes only. No information contained on this website constitutes tax, legal, insurance or investment advice. Based on the Book Gold is a Better Way. Gold Is A Better Way only conducts business in jurisdictions where licensed, registered, or where an applicable registration exemption or exclusion exists. Information contained herein is not intended for persons in any jurisdiction where such distribution or use would be contrary to the laws or regulations of that jurisdiction, or which would subject Gold Is A Better Way to any unintended registration requirements. 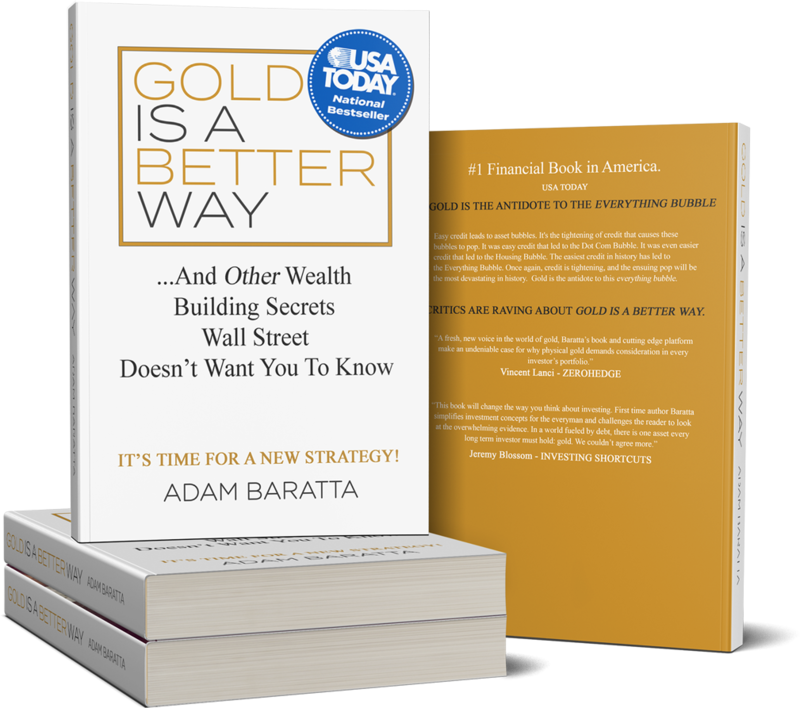 Visitors to this site should not construe any discussion or information contained herein as personalized advice from, Adam Baratta, Gold Is A Better Way, it's partners or affiliates . Visitors and Members should discuss the personal applicability of the specific products, services, strategies, or issues posted herein with a professional advisor of his or her choosing.